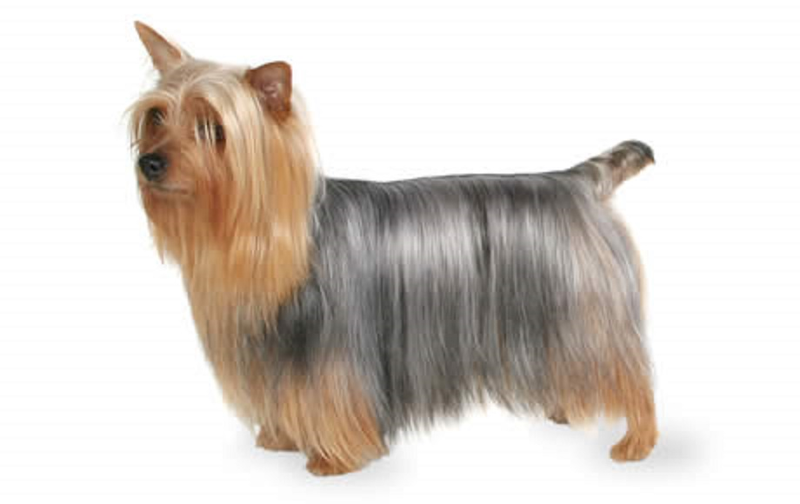 The Silky Terrier originated in Australia in the 1890s, when breeders crossed imported Yorkshire Terriers with their native Australian Terriers. Some of the offspring looked like Yorkies, some looked like Australian Terriers, and others looked like the Silky of today, with a size and coat length that was between the two parent breeds. The Silky-looking dogs were interbred until the puppies predictably had Silky traits. In 1906, Australian fanciers developed a breed standard - written guidelines for what the breed should look, move, and act like - in Sydney, New South Wales. In 1909, another standard was drawn up in Victoria. The two standards didn't completely match up, mostly on the preferred weight and ear type. The two camps compromised and a new breed standard came out in 1926.